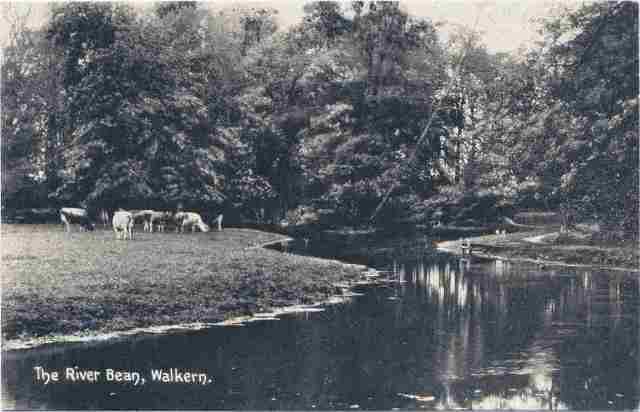 Over the centuries, the River Beane has been an important part of village life in Walkern, both for business and pleasure. Until the latter part of the 20th century it had a good flow both in winter and summer. It is very often dry in summer almost certainly due to extraction. Although two small tributaries come in from Luffenhall and the Arderley road, the main source started some quarter of a mile north of Walkern Church at Springhead Meads and as the name implies seven springs bubbled up in the bowl shaped area through the masses of watercress, gathered by both shopkeepers and parishioners to help out at the tea table. On the business side, apart from a cress farm at Finches Farm, trout farms are recorded and the fish sold to local shops and markets. The river was also the power supply that turned the wheel at the flour mill until 1934. This particular mill was thought to have been built in 1831 owned by the Garretts. 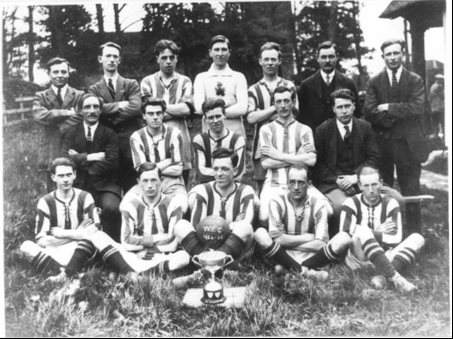 Ownership changed in 1881 to C.D Pearman and the mill is now well-preserved living accommodation. In 1843 on May 4, the then rector Rev. Harding on the occasion of his daughter Juliana’s wedding, invited the village children to a party, tea and buns followed by fireworks. During the afternoon a new boat was launched to give rides to the children. We too had our fun on the river, with our varied rafts made from five gallon drums and any other suitable material we could find. It was wonderful going downstream but often a long carry back. 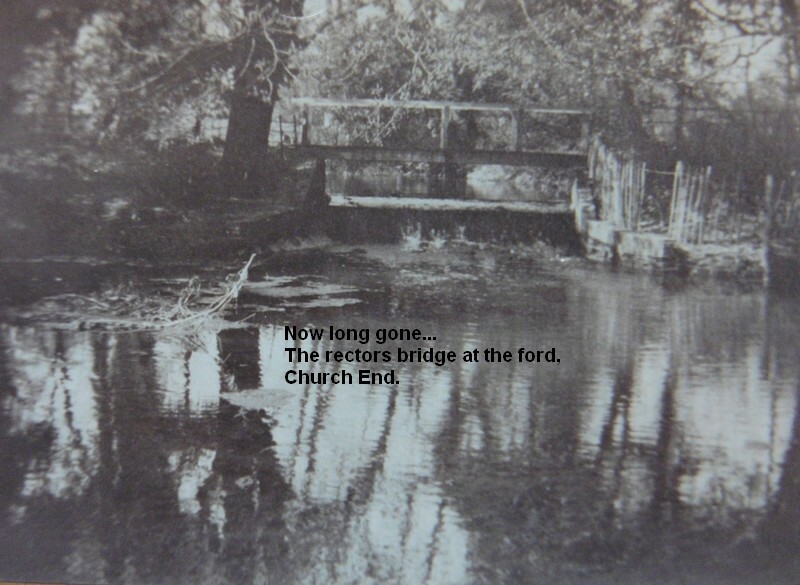 At the church splash there were floodgates and a wooden bridge allowing the rector a shortcut from the rectory to the church. The gates and bridge are now sadly missing. 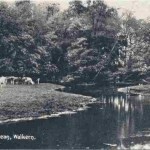 The weir caused a large hole known by many as the Devils Hole, in connection with the church being moved from Box to Walkern centuries ago. 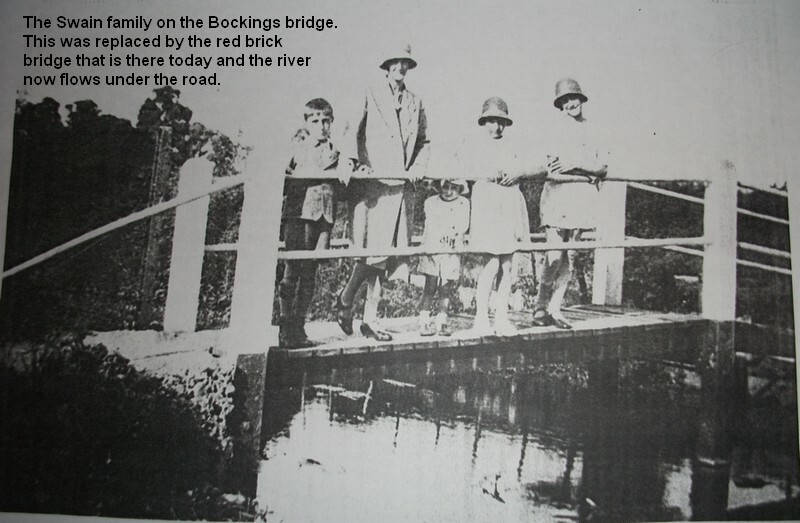 At Bockings the water came over the road and a footbridge was used by pedestrians. 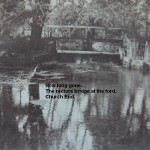 The bridge has now gone and the water goes under the road nowadays. Many hours of pleasure could be had thanks to the river. It boasted fine trout, we tried mostly unsuccessfully to land a whopper but I am afraid the equipment often a worm, bent pin and a string is my excuse for very little success! The more professional anglers did have much more joy, catching trout of one and a half pounds or more and occasionally a pike would be seen which would be the main target to try and catch! 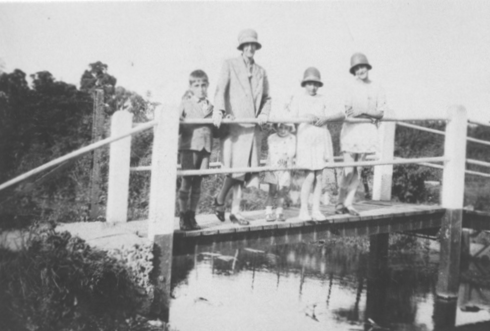 Behind the then Finches Farm in summer it was possible to dive from the top rail of the fence on the side of the bridge. A few came from Stevenage to join in the fun and downstream at Lower Croft we shaped the banks into a square to form a swimming pool. The water was very cold even in summer but enjoyed by the crowd of lads, not often lasses. The mill pond was another lovely spot and in the hard days of winter the Pearmans who owned the mill were kind enough to allow children and adults to slide across it and a few lucky enough to own ice skates were allowed to skate. We would take a hurricane lantern or a candle in a jam jar and hang them around the outside, often leaving very late at night, simple wonderful pleasures. The river was dotted almost the whole length with wild flowers and grasses. King cups, teasels, milkmaids and many others and if you stayed quiet and concealed, possibly a fox or a deer and a multitude of birds would come down to drink. 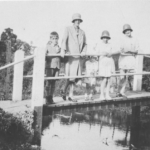 We would fish for the plentiful supply of minnows with our jam jars with string handles, as the kingfishers darted by, often up to four pairs could be counted. Up to around 1960s the river was well cared for. The banks were strimmed and occasionally the river was dredged. I am sorry to say now in parts it resembles a wilderness but the beauty and pleasures of the past will always remain in my memory. In September 1968 the river flooded following a prolonged downpour lasting two days. It is thought that nearly 75-100mm of rain fell, which was about the equivalent of 6 weeks rain in 48 hours. As you can see the result of this had a devastating effect on the village as the flood actually swept cars along, but fortunately there was no loss of life, although Finches Farm lost livestock. 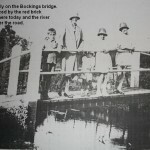 I remember swimming in the area between the Rector’s bridge and the ford (please note that I am female!). The main scource of fun being old inner tubes, especially the tractor tubes! As a child in the 1950’s I don’t ever remember the river being dry. I spent many happy hours catching tadpoles and minnows in the river, and going on ‘explorations’ along the length from the Church to the zigzag adjacent to Totts Lane, where I lived until the age of 8. I think the River Beane was the inspiration for my love of wildlife, which I still enjoy. It is so sad to think that water abstraction has depleted the river to such an extent. I see another photo of my family, keep them coming!